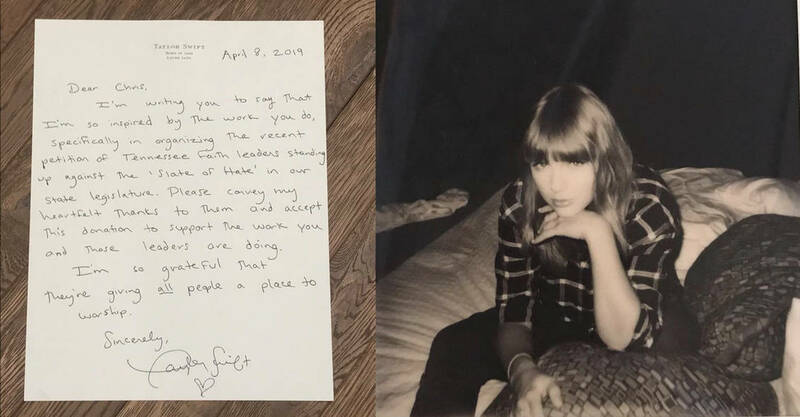 Recording artist Taylor Swift on Monday made a massive unsolicited donation to the Tennessee Equality Project, an LGBTQ rights group working to overturn discriminatory legislation in the state. Swift for many years did not share her political views but that changed in a big way in October 2018 with an Instagram post to her 112 million ‘Swifties’ indicating she’d be voting against anti-gay Rep. Marsha Blackburn. Blackburn is unfortunately still in the Senate.